Maternal America Jeans on the COVER!! 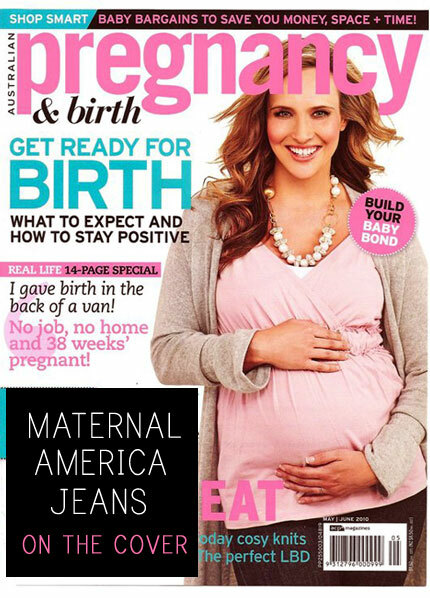 Our best selling Maternal America jeans feature on the COVER of the latest Pregnancy and Birth Magazine! Straight leg styling in a soft washed dark indigo denim. Just the right amount of stretch making them SO comfortable for everyday wear. Pair with heels, boots, flats and your favourite tee or sweater for a fantastic look. Finished with custom copper MA rivets. We love the fabulous stretch dark wash - it slims your hips, giving you a sleek look. Perfect for any season. Worn by Toni Pearen and featured widely in the press! 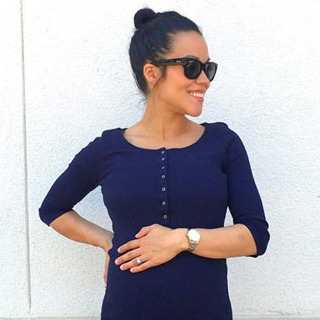 Grab your HOT new maternity jeans here now! Having your first baby is a very rewarding experience -- something that many new mums won’t admit to until after their baby has grown. Once the baby comes, you will feel love that you never knew existed, but you will also feel terrified, exhausted, frustrated and stressed. Parenthood is a steep learning curve, but the following tips will help you cope and get to the point where you love your new role. Your baby In the first few months especially, you will find caring for a newborn to be time-consuming, dirty, sometimes mundane and often hectic -- and you will do it all while sleep deprived. You may find this to be a huge jolt from the existence you knew before, like when you lived a carefree life with few responsibilities and your weekends and evenings were free. 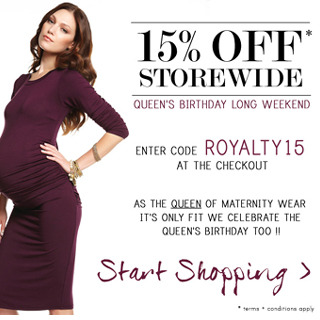 Here's a treat for all our QueenBee fans and it doesn't happen often, so here's your chance to SHOP for some fabulous maternity clothes!